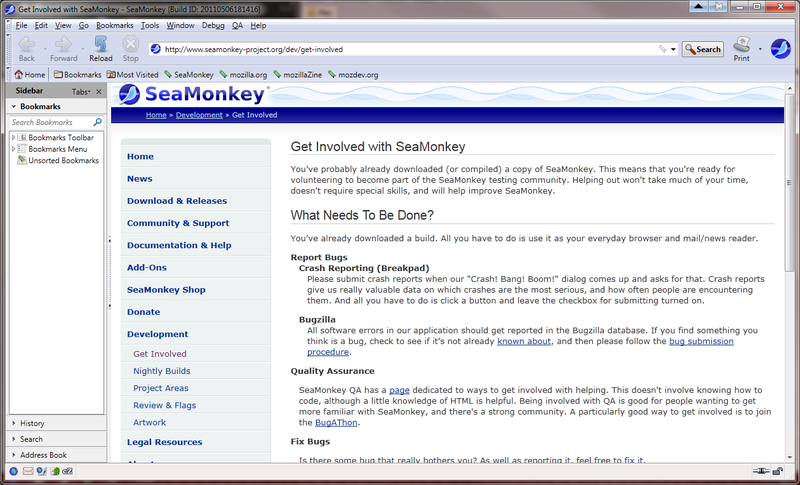 The SeaMonkey project is a community effort to develop the SeaMonkey all-in-one internet application suite (see below). Such a software suite was previously made popular by Netscape and Mozilla, and the SeaMonkey project continues to develop and deliver high-quality updates to this concept. Containing an Internet browser, email &amp; newsgroup client with an included web feed reader, HTML editor, IRC chat and web development tools, SeaMonkey is sure to appeal to advanced users, web developers and corporate users. Statement: First, please download the orginal installation package by clicking the download link. Of course you may also download it from the publisher's website. Using SeaMonkey crack, key, patch, serial number, registration code, keygen is illegal. The download file hosted at publisher website. We do not provide any download link points to Rapidshare, Hotfile, Depositfiles, Mediafire, Filefactory, etc. or obtained from file sharing programs such as Limewire, Kazaa, Imesh, Ares, BearShare, BitTorrent, WinMX etc. Software piracy is theft. If you like SeaMonkey please buy it.